Looks like he is standing on a vehicle or something. Might be the invisible vehicle or it might have respawned on your screen or something. VC-MP syncing is sometimes a mystery, but it looks like he is standing on something based on the way he moves up and down. @Maxpayne^ wrote: Have more proof? @Chuck Norris wrote: Looks like he is standing on a vehicle or something. Might be the invisible vehicle or it might have respawned on your screen or something. VC-MP syncing is sometimes a mystery, but it looks like he is standing on something based on the way he moves up and down. 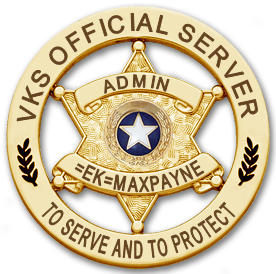 Map modding: Modding your map is not allowed on VKs official server. If you're caught modding your map you will be forced to remove it or get banned.